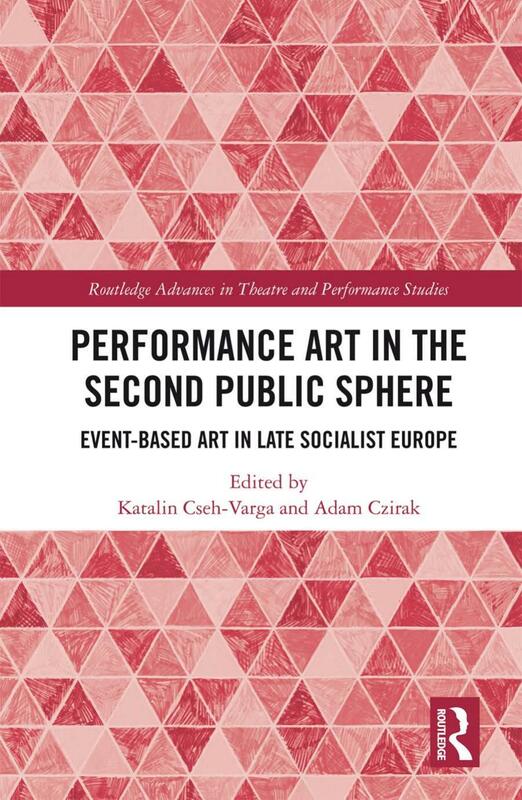 “Performance Art in the Second Public Sphere is the first interdisciplinary analysis of performance art in East, Central and Southeast Europe under socialist rule. By investigating the specifics of event-based art forms in these regions, each chapter explores the particular, critical roles that this work assumed under censorial circumstances. Contributors: Roddy Hunter, Miško Šuvaković, Dietmar Unterkofler, Ileana Pintilie, Cristian Nae, Andrej Mirčev, Andrea Bátorová, Berenika Szymanski-Düll, Kata Krasznahorkai, Laine Kristberga, Adam Czirak, Amy Bryzgel, Jasmina Tumbas, Beáta Hock, Angelika Richter, Maja Fowkes and Reuben Fowkes. “We commonly think of the psychedelic sixties as an explosion of creative energy and freedom that arose in direct revolt against the social restraint and authoritarian hierarchy of the early Cold War years. 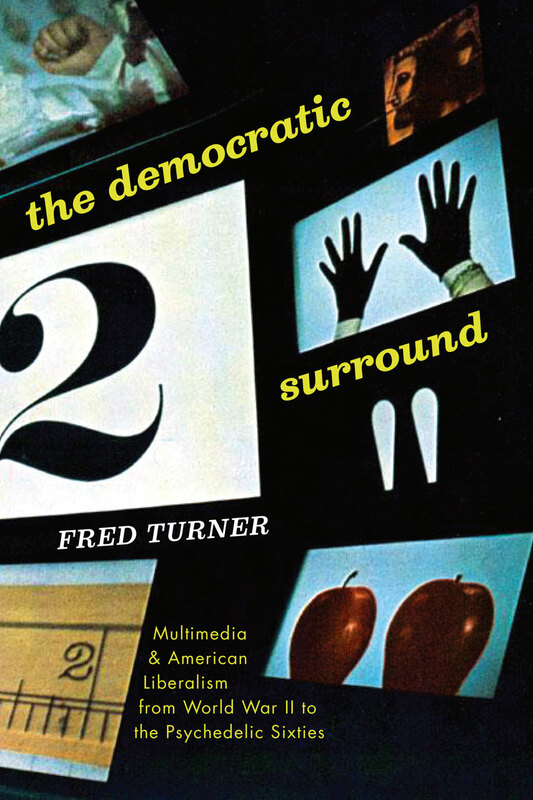 Yet, as Fred Turner reveals in The Democratic Surround, the decades that brought us the Korean War and communist witch hunts also witnessed an extraordinary turn toward explicitly democratic, open, and inclusive ideas of communication and with them new, flexible models of social order. Surprisingly, he shows that it was this turn that brought us the revolutionary multimedia and wild-eyed individualism of the 1960s counterculture. In this prequel to his book From Counterculture to Cyberculture, Turner rewrites the history of postwar America, showing how in the 1940s and ’50s American liberalism offered a far more radical social vision than we now remember. Turner tracks the influential mid-century entwining of Bauhaus aesthetics with American social science and psychology. From the Museum of Modern Art in New York to the New Bauhaus in Chicago and Black Mountain College in North Carolina, Turner shows how some of the most well-known artists and intellectuals of the forties developed new models of media, new theories of interpersonal and international collaboration, and new visions of an open, tolerant, and democratic self in direct contrast to the repression and conformity associated with the fascist and communist movements. He then shows how their work shaped some of the most significant media events of the Cold War, including Edward Steichen’s Family of Man exhibition, the multimedia performances of John Cage, and, ultimately, the psychedelic Be-Ins of the sixties. Turner demonstrates that by the end of the 1950s this vision of the democratic self and the media built to promote it would actually become part of the mainstream, even shaping American propaganda efforts in Europe. Reviews: Jathan Sadowski (LA Review of Books, 2014), Carolyn L Kane (J Visual Culture, 2015), Matthew Linton (Society For U.S. Intellectual History Blog, 2015), Craig J. Pearison (J American History, 2016), Katie Simpson (J-History, 2017), Malte Hagener (NECSUS, 2015), Erika J. Pribanic-Smith (Journalism History, 2014), Debra Cash (ArtsFuse, 2014), Alex Sayf Cummings (2014). “This is the first interdisciplinary analysis of performance art in East, Central and Southeast Europe under socialist rule. By investigating the specifics of event-based art forms in these regions, each chapter explores the particular, critical roles that this work assumed under censorial circumstances.